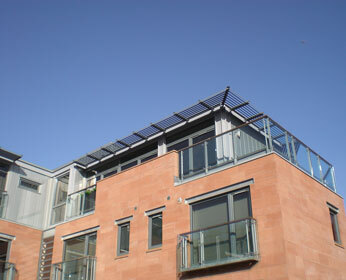 Involvement in projects where we have a multi-discipline input is always enjoyable, this project was no different. 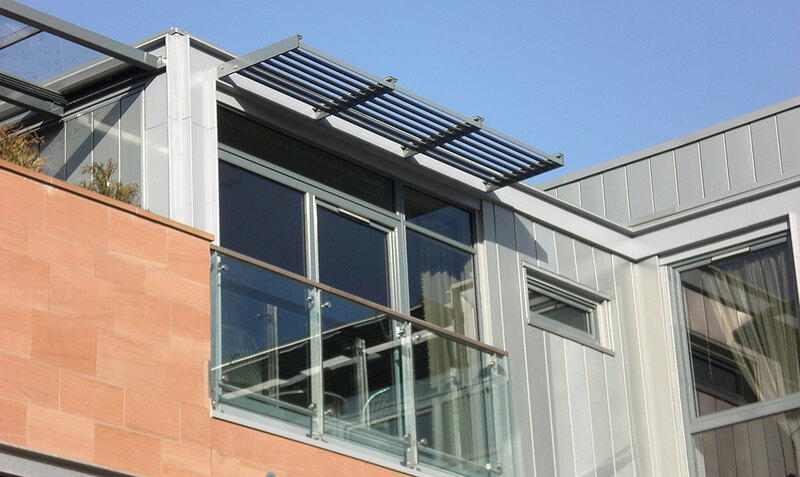 We had the pleasure to be appointed by Gregor Properties to design, supply and install low-level car park ventilation louvres, high-level penthouse brise soleil and lobby smoke ventilation system within this high-end residential development. 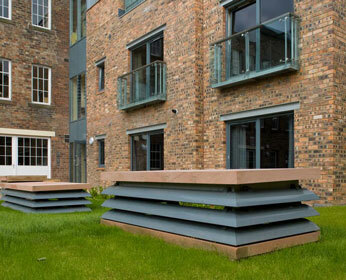 Car park ventilation louvres to the base of the main building and 150mm pitch aerofoil blade on LD.460 support mullions, set within to turrets within the garden area, were achieved by utilising a the stonework openings. 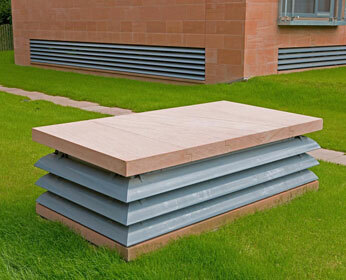 This solution provided adequate rain defence while providing a high free area for airflow as required. As a secondary benefit, this also provided the feature look the architect desired. 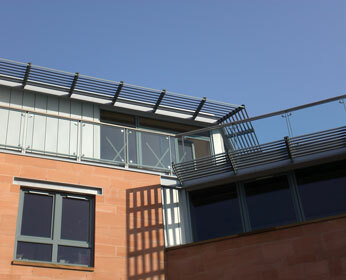 The high-level brise soleil was designed to provide shading to both The internal living areas of the penthouse properties as well as to the external terrace areas. This was achieved by installing 100mm pitch aerofoil blades between project designed rafters and securing back to the structure with bespoke aluminium brackets. 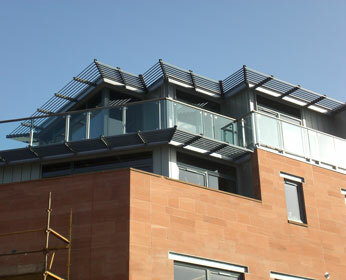 The brackets were dressed with zinc cladding at the interface with the building to give an enhanced aesthetic finish. 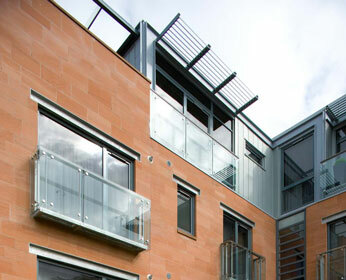 Smoke ventilation was provided to the building lobbies via Krystalite glazed louvred vents, installed within the building façade at each floor level. The vents were combined with our Aumuller controls system of control panel with 72hour battery back-up, smoke detection and fireman’s override facility, providing an effective and compliant solution.